The Shade Tech ST64 Instant Canopy is quick and simple to set up and comes packed in a wheeled carry bag for easy transporting and storage. 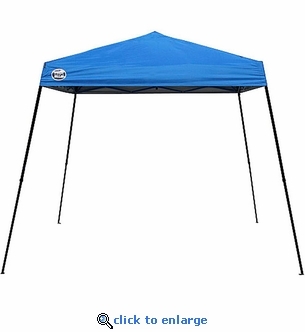 This quality pop-up canopy is great for camping, days at the beach, sporting events, family gatherings and more. The UV protected fabric top is attached to the fully assembled steel frame allowing for super easy set up. The canopy is 10 ft. x 10 ft. at the base with an 8 ft. x 8 ft. fabric top that provides 64 sq. ft. of shade.